The British Irish Chamber of Commerce held its first meeting with Minister for Foreign Affairs and Trade, Simon Coveney TD in London today. Minister for Foreign Affairs Simon Coveney has expressed satisfaction at the direction of negotiations between Britain and the European Union over Ireland’s specific issues. 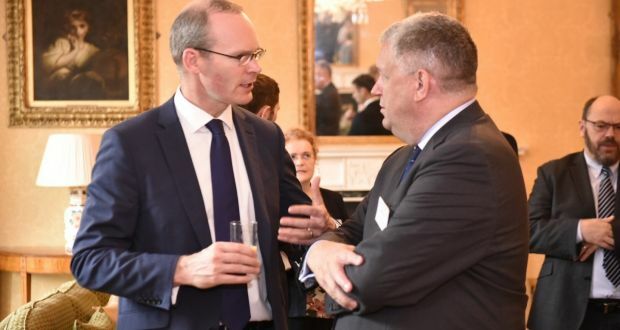 Speaking in London after meetings about Brexit with academics, diplomats and business representatives, Mr Coveney said more work was needed on some areas. “In particular, more detailed work is needed on how best to protect North-South co-operation, an essential aspect of the Good Friday Agreement. It has facilitated some of the most tangible benefits from the peace process and contributed directly to the normalisation of daily life in the border region. On the Common Travel Area, I welcome that both sides agreed that it should be maintained. It will now be for the UK side to confirm how it will ensure this,” he said. The discussions in Brussels did not focus on the future of the Border but Mr Coveney said that talks between the British and EU teams this week about protecting the gains of the peace process were directly related to avoiding a hard Border after Brexit. 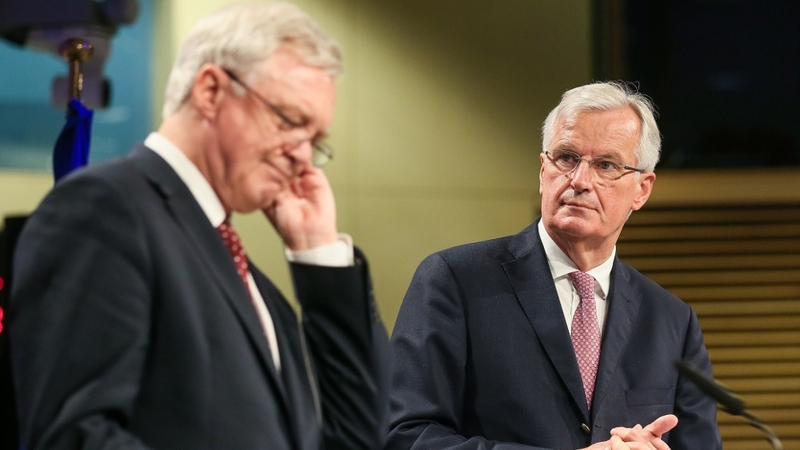 “My officials and I will continue to work closely with Michel Barnier and his team to ensure that sufficient progress is made on the Irish specific issues in phase one of the negotiations. Progress on these, on citizens’ rights and the financial settlement would allow parallel discussions to begin this autumn on the EU’s future relationship with the EU,” he said. Theresa May on Thursday sought to reassure British business that its concerns would be considered as Britain continues its negotiations with the EU. The prime minister hosted representatives of big companies and business organisations at Downing Street for the first meeting of a new “business council”. “The prime minister emphasised her desire to listen to the views of business, to channel their experience and to share with them the government’s vision for a successful Brexit and a country in which growth and opportunity is shared by everyone across the whole of the UK,” a Downing Street spokesperson said. Firefly founder and medical director Martin McGeough and big-wave surfer Dr. Easkey Britton launch Firefly Summit 2017, which is moving from London to Sligo as a result of Brexit. The Firefly Summit, a conference of 200 podiatrists, mainly from London and the rest of the UK, will move to Sligo this year. The summit will see 21 of the podiatry profession’s top minds deliver a series of quick-fire lectures, sharing their hands-on clinical practices. 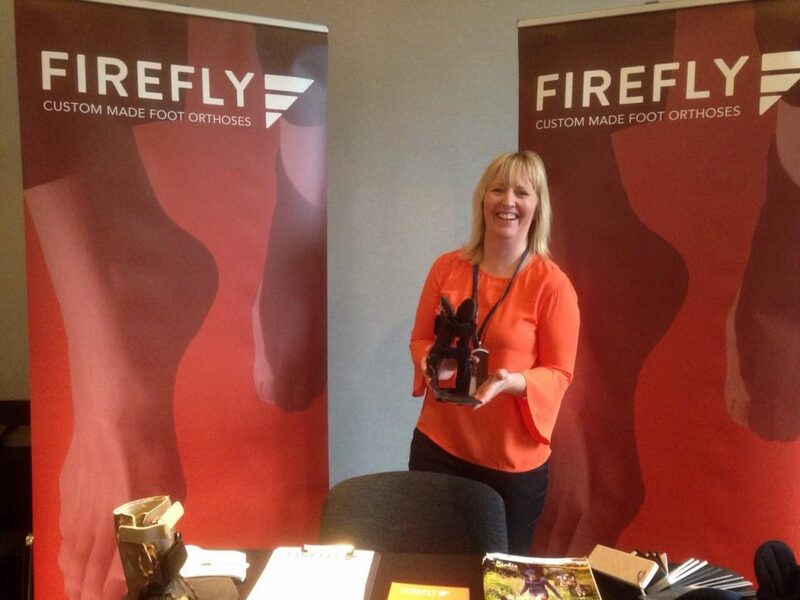 Firefly, a custom-made orthoses company, made the decision to move the summit to Sligo as a result of the impact Brexit was having on its business. “When sterling started devaluating on the back of the Brexit announcement, our margins were way down. We have managed to survive – but only just about. We had to decide how we were going to respond to it,” Martin McGeough, Firefly’s founder and medical director said. While some companies are looking at how to reduce costs or increase prices, Firefly are looking at building relationships with customers who are podiatrists, and by moving the conference to Sligo the company hopes to cement existing relationships with customers and build more. Firefly is also turning the concept of a medical conference on its head by taking speakers and delegates out of the lecture halls and into nature. Surfing, hiking, stand up paddle boarding (SUP), golf and other activities are built into the programme of the Firefly Summit, which takes place from September 29-30. This will allow attendees to connect with the UK and Ireland’s most renowned podiatric consultants and practitioners in a relaxed setting by removing the barriers of traditional conferences, Firefly said. Podiatry or podiatric medicine is a branch of medicine devoted to the study, diagnosis and medical and surgical treatment of disorders of the foot and ankle. It is expected that the conference will result in an economic boost of at least €320,000 to the local economy. Dogs that are extra friendly share certain genetic similarities with people who are born with a developmental disorder sometimes called the “opposite of autism,” which makes them hyper social, researchers said Wednesday. “It was once thought that during domestication dogs had evolved an advanced form of social cognition that wolves lacked,” said co-author Monique Udell, an animal scientist at Oregon State University. “Where the real difference seems to lie is the dog’s persistent gazing at people and a desire to seek prolonged proximity to people, past the point where you expect an adult animal to engage in this behavior,” said Udell. Then, researchers took blood samples and to see how the wolves’ and dogs’ genetic traits lined up with their personalities. They found variations in two genes — GTF2I and GTF2IRD1 — “appeared to be connected to dog hyper sociability, a core element of domestication that distinguishes them from wolves,” said the report. The changes weren’t identical in humans and dogs. For instance, in dogs, unique genetic insertions called transposons in these genetic regions were linked to a strong tendency to seek out human contact. Some of these transposons “were only found in domestic dogs, and not in wolves at all,” said the report. “We haven’t found a ‘social gene,’ but rather an important [genetic] component that shapes animal personality and assisted the process of domesticating a wild wolf into a tame dog,” said a statement by co-author Bridgett vonHoldt, an assistant professor in ecology and evolutionary biology at Princeton University. “It may be one of the first studies to ever identify the specific genetic variants that were important for turning wolves into dogs,” he said in an email. It’s unlikely that humans sought out to tame wild wolves. Rather, the process would have started with the animals approaching hunter-gatherer camps in search of food, researchers said. “Those wolves that were tamer and less aggressive would have been more successful at this” and more likely to befriend humans, explained the report. 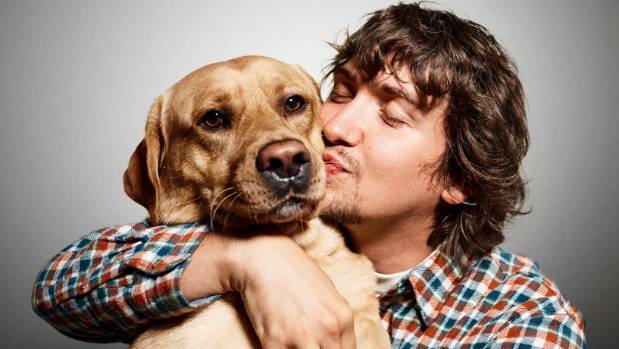 The research by Udell and vonHoldt lines up with this theory — that sociability, rather than smarts, drove dogs to become man’s best friend. 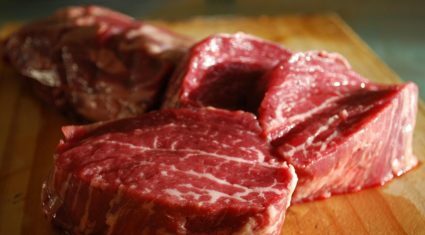 ‘Potential investors have been told that the company is looking to have its shares admitted to trading as early as August. Minerals explorer Erris Resources is looking to float in order to raise funds for drilling a zinc prospect in Sligo. The London-based company is plotting a potential listing on that city’s AIM market, raising as much as £5m (€5.7m). Potential investors have been told that the company is looking to have its shares admitted to trading as early as August. Erris declined to comment. The prospect is at Abbeytown in Co Sligo and was the site of a lead mine in the 1950s and 1960s. Erris believes that zinc, lead, silver and copper are at the site, which it labels historically overlooked. Drilling work that the company has undertaken indicates that there is a potential new mineral zone at the site. It has presented investors with two scenarios; one, in which it raises £3.5m, releasing just over £1.5m for work at Abbeytown, and another, where it raises £5m, with more than £2.8m for Abbeytown. A £5m fundraise would give the company a market capitalisation of £9.7m on a fully diluted basis – meaning that share options are included in the calculation of the company’s value, as well as shares. 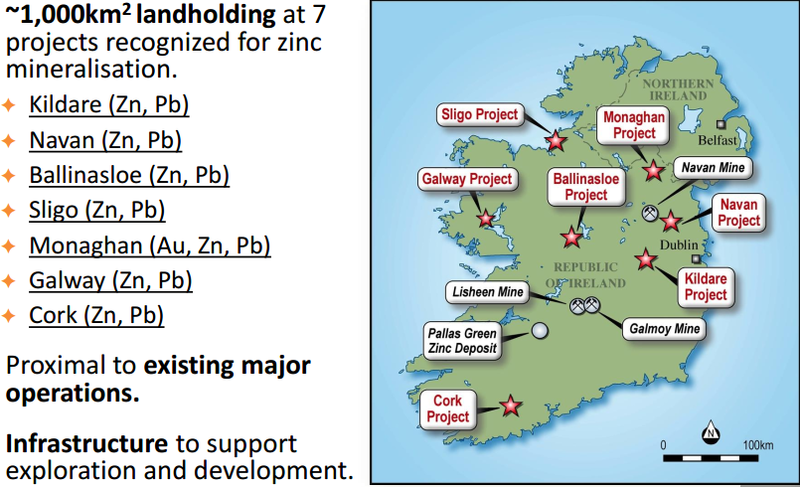 Meanwhile, another zinc explorer with interests in Ireland, Group Eleven Resources, has plans to float. The company, which has been backed by former Davy corporate finance chief Hugh McCutcheon, is hoping to list in Canada in the autumn. “The reason to go to Canada is that Vancouver is really the capital of the junior resource market in the world. But if it made sense for us, I’d love to be listed in Dublin at some stage in the not-too-distant future,” Group Eleven chief executive Bart Jaworski said. Last week, the company announced a deal to buy 60pc of a prospect which covers areas of Co Longford and Co Westmeath. It is buying the asset known as the Ballinalack prospect from the Canadian mining giant Teck. The other 40pc of the prospect is owned by a Chinese company. The asset is located 50km west of Europe’s largest zinc mine at Navan in Co Meath. A big rise in the price of zinc has lifted activity in the Irish sector in recent months. The island of Ireland is the biggest zinc producer in Europe. Australian-listed Hannan Metals has been drilling at a prospect in Kilbricken in Co Clare and announced its estimates of the resource potential based on the results earlier this week. He added: “While this resource is substantial, it is also lies open in all directions, with excellent potential for expansion. Elsewhere, the mining giant Glencore has resumed drilling at its Pallas Green prospect in Limerick. “The objective is to better understand certain aspects of the deposit,” a Glencore spokesman said, adding that any decision about building a fully fledged mine at the site was “a long way down the road”. Researchers at NUI Galway have discovered what they say are encouraging early signs for a potential treatment for Huntington’s disease. Huntington’s is an inherited neurodegenerative disease that causes serious cognitive and movement defects. Sometimes called Huntington’s chorea, it is “debilitating, untreatable and relentlessly fatal”, according to the researchers. Prof Robert Lahue and his team at the Centre for Chromosome Biology and the Galway Neuroscience Centre at NUI Galway collaborated with scientists at the University of Barcelona. 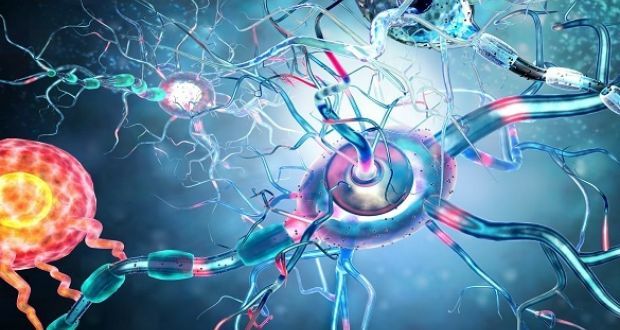 They targeted an enzyme called histone deacetylase 3 (HDAC3), which is thought to alter important biochemical mechanisms in the brain of Huntington’s disease patients and thereby accelerate disease progression. The study published on Thursday in the journal Scientific Reports shows that blocking HDAC3 with an experimental compound in a pre-clinical model of Huntington’s disease slows cognitive decline and delays the onset of molecular signs of neurodegeneration. While these results are preliminary, the data shows that the onset of Huntington’s disease is delayed when HDAC3 is blocked in this pre-clinical setting. This is an encouraging first step because currently there are no effective treatments that target the root cause of the disease,” Prof Lahue said. Prof Lahue noted the key role of the Spanish collaborators and co-authors, Dr Silvia Ginés and Nuria Suelves from the University of Barcelona. Prof Lahue and Dr Ginés have applied for additional funding to develop the treatment further and to assess additional safety aspects. Science Foundation Ireland and the European Huntington’s Disease Network supported the research in Ireland. The Huntington’s Disease Association of Ireland estimates, based on research in Northern Ireland and a population of 4.67 million in 2011, that there are about 500 people here with the condition and a further 2,500 at risk. While Huntington’s disease is relatively rare, over 9,000 family members in Ireland may require support and information, according to the organisation. Huntington’s Disease is a genetic condition with each child of an affected parent having a 50 per cent likelihood of inheriting the gene. Both men and women have equal chances of being affected and most people develop the symptoms between the ages of 30 and 50. About 5-10 per cent of people have onset of symptoms before the age of 20 and 10 per cent after the age of 60. The average survival time after diagnosis is about 15-20 years, but some people have lived 30 or 40 years with the condition. Humans arrived in Australia 10,000 years earlier than was previously thought, casting doubt on the theory that they killed off the giant kangaroo and other unique animals, scientists believe. New artefact evidence suggests that the continent was first occupied about 65,000 years ago, long after the ancient ancestors of modern humans emerged in Africa. The discovery challenges the theory that people caused the extinction of Australian megafauna including giant kangaroos, wombats and tortoises which disappeared more than 45,000 years ago. Lead scientist Dr Ben Marwick, from the University of Washington, US, said: “Previously it was thought that humans arrived and hunted them out or disturbed their habits, leading to extinction, but these dates confirm that people arrived so far before that they wouldn’t be the central cause of the death of megafauna. 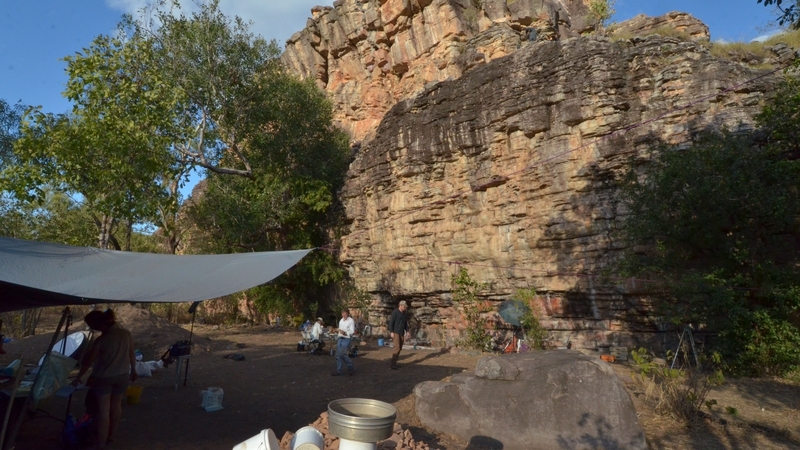 Since 1973, digs at Madjedbebe, a rock shelter in Australia’s Northern Territory, have unearthed more than 10,000 stone tools, ochres, plant remains and bones. A dating technique called optical stimulated luminescence (OSL) was used to determine the age of the oldest buried artefacts. The process can show the last time a sand grain was exposed to sunlight up to 100,000 or more years ago. This and other tests built up a picture of the environment and showed that when the first humans arrived, northern Australia was wetter and colder than it is today. The findings, published in the journal Nature, support the theory that our species Homo sapiens evolved in Africa before dispersing to other continents, Dr Marwick said. 15,000 litres of laundered fuel was seized in Wicklow earlier this year. One in 12 Irish motorists suspect that they have been sold laundered fuel in the past, according to recent survey carried out by AA Ireland. The AA Motor Insurance survey, which was carried out in April, also found that 55% of those who suspect that they were sold laundered fuel also believed that their car was damaged as a result. 3,000 motorists responded to the survey, which was carried out in the wake of the seizure of 15,000 litres of laundered fuel in Wicklow earlier this year. Motorists in Ulster were found to be far more suspicious about the possibility of being sold laundered fuel (30.48% of motorists in Cavan and 28.57% of motorists in Monaghan believed they had been sold laundered fuel), while at the other end of the scale, there was barely any suspicion amongst motorists in Waterford (1.72%) and Mayo (2.78%) that they may have been affected. “While fuel prices have been dropping in the past months, average prices for petrol and diesel are still approximately 7c higher per litre than August 2016. 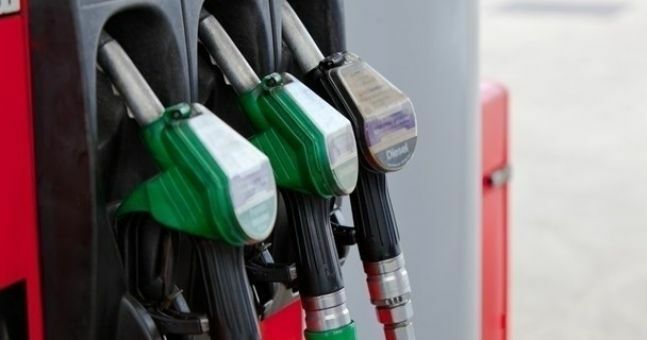 As a result of the higher prices motorists are keen to save anywhere they can and because of this may be tempted by a dealer offering fuel at unrealistically low prices. Laundered fuel has the potential to cause serious damage to a vehicle’s engine and Conor Faughnan had the following advice for anyone who suspects that they may have been sold it. “If you suspect that you may have been sold laundered fuel then you should report it to the service station”, Faughnan added. 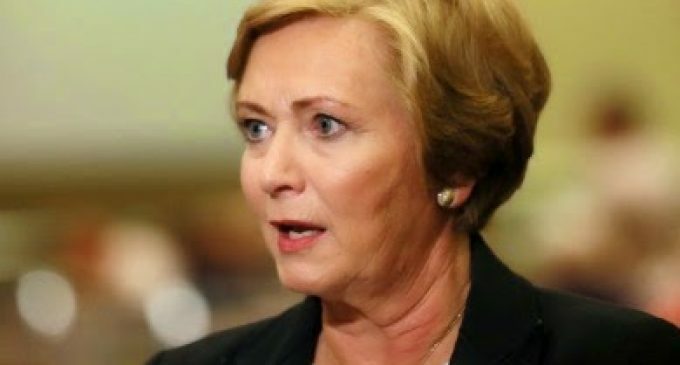 The Tánaiste and Minister for Enterprise and Innovation, Frances Fitzgerald along with Minister for Trade, Pat Breen today welcomed a new EU trade deal with Japan which they say will bring great benefits to Ireland. Japan is the third largest economy in the world and is Ireland’s biggest trade partner in Asia after China and the largest source of FDI into Ireland from Asia. There are more than 50 Japanese companies with a presence in Ireland across a wide range of industrial sectors and it is estimated that Japanese companies employ close to 3,900 people in Ireland. Furthermore, Japan is one of Ireland’s top 10 goods export markets. Ireland’s goods trade with Japan is now valued at over €4 bn a year, up from €2.2 billion in 2005. In 2016, the value of goods exports from Ireland to Japan was €2.9 bn and the value of goods imports was €1.2 bn. Ireland’s principal goods exports were Medical & Pharmaceutical Products while principal imports were Road Vehicles and Industrial Machinery. 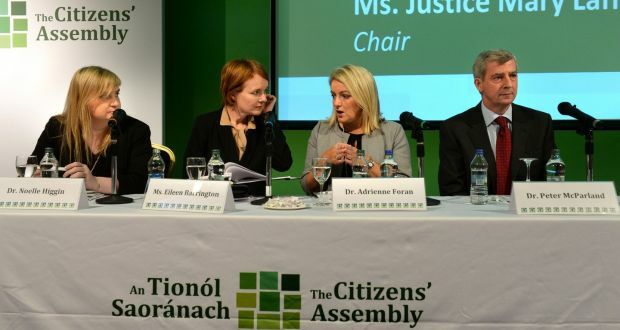 A radical workers’ tax to pay for elderly care, the abolition of the mandatory retirement age, a minister for older people and full Government accountability, are just some of the recommendations the Citizens’ Assembly has voted for. The 70 members also called for a statutory footing on the care of older people accessing home care and for a compulsory pension scheme to supplement the State pension. A total of 87% recommended that there should be an increase in public resources for the elderly and 99% called on the Government to “expedite the current commitment to place home care for older people on a statutory footing.” 87% recommended Government introduce a compulsory pension scheme to supplement the State pension. On Sunday, Dr Micheal Collins, assistant professor of social policy at UCD, told the Assembly it was possible to introduce a Fair Deal type initiative top up pension scheme to “claw back” up to €200-a-week from elderly property owners with assets of around €200,000. A further 86% voted against a mandatory retirement based on age – meaning an older person could work as long as possible and 87% recommended the Government backdate the Homemaker’s’ Scheme to 1973 – to allow those who’d spent years looking after children, the sick or disabled, in the home to claim a contributory pension. The Assembly voted 100% that Government should “urgently prioritise and implement” existing policies and strategies on older people, including for example the National Positive Ageing Strategy published in 2013; the Carers’ Strategy, and the National Dementia Strategy. Justin Moran, Head of Advocacy and Communications at Age Action, said: “When presented with the evidence and given the time to deliberate the citizens showed the overwhelming consensus for a fair State Pension system, the abolition of mandatory retirement and investment in homecare. The votes came a day after members stated they were displeased the Government hadn’t implemented strategies and had instead left the issue with citizens to deal with. 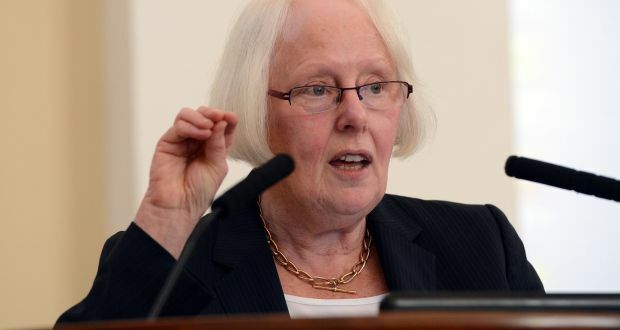 The recommendations, a combination of State and personal responsibility for the care, pensions, working life and retirement, of the elderly, will be brought to the Oireachtas for consideration. The Mandatory retirement age may be abolished? The Citizens’ Assembly is to tell the Government to abolish mandatory retirement ages, eliminate the time gap between retirement and eligibility for the old age pension, and to link that pension to average earnings. On the question of abolishing mandatory retirement ages, 86% of the assembly members present said this practice should be outlawed, while 96% said the anomaly whereby people who are forced to retire at 65 then cannot get the State pension until they are 66 or 67 should be removed. Gardaí armed with riot shields faced Travellers during a stand-off in a car park in Sligo town on Wednesday. A number of young children chanted “we have rights” as up to 14 uniformed gardaí, some carrying riot shields, formed a protective barrier around Sligo county council staff who were carrying out works at the Connaughton road car park. Throughout the operation, a Garda Armed Response Unit vehicle was parked outside the car park. The car park was the scene of a confrontation two weeks ago when gardaí accompanied workers as they dismantled a fence and painted in parking spaces on behalf of the county council. The car park has been home to the extended McGinley family for an estimated 30 years. Speculation is growing that the family will mount an “adverse possession” claim, also known as “squatters’ rights”, against the council over the property. The council says it has been working hard to find alternative accommodation for the family. Sources close the McGinleys accused the council of being “heavy-handed” in its approach to the family in recent weeks, while the council has insisted the Garda presence was necessary to protect its staff. Council sources said it had always maintained this was a public car park and it had a duty to continue to ensure the public had access there. In a statement, the council said Wednesday’s operation was to remove a tree which had been obstructing traffic signage and to restore a height control barrier which had been restored some time ago and typical of barriers at all public car parks. The council said it was “maintaining contact with the McGinley family through their solicitor in relation to recent issues at the car park”. A spokesman said the council was continuing to engage with the family with a view to finding a solution to their accommodation needs. The family has turned down three sites suggested by the council, saying two of them had been rejected before as they were in commercial/industrial areas. There were no arrests following the two-hour operation. A Garda spokesman said Gardaí were present “to prevent any breach of the peace”. It is understood the family has sought the advice of senior counsel in relation to its claim for adverse possession. Sources pointed out the erection of the height control barrier means it will no longer be possible to move caravans in and out of the car park. While the council said it was required to ensure protection for staff carrying out works on its behalf, sources close to the family have described the presence of members of the Garda Armed Response Unit and Gardaí in riot gear as “over the top”. Gas giants take center stage among the best sky shows this month. The Milky Way glows brightly as shooting stars streak across the sky during the peak of the 2016 Delta Aquarid meteor shower. The night skies will also showcase two of the largest planets in the solar system this month, while early mornings offers superb views of Earth’s neighboring planet, Venus, as it pairs up with the moon and a star that marks a cosmic bull’s eye. 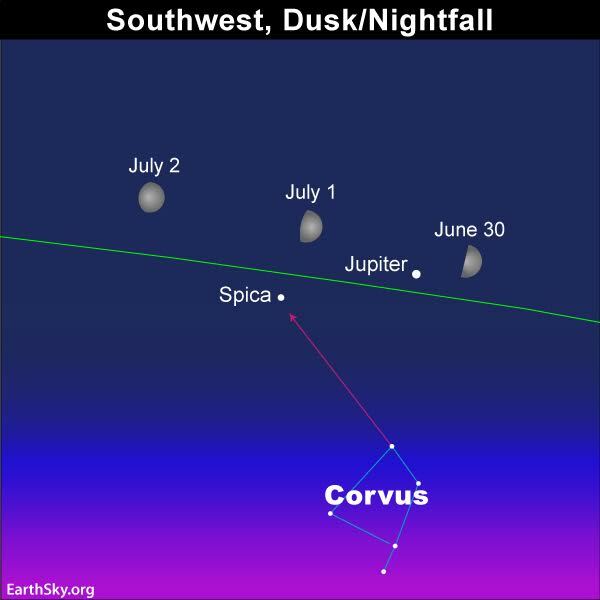 Jupiter will form a trio with the moon and the star Spica on July 1. Look for the waxing gibbous moon as it passes very close to the largest planet in the solar system, Jupiter, and the star Spica. The cosmic trio will form an eye-catching triangular formation, making for a dramatic display as they rise over the southeast horizon in the early evening. Early risers on July 5 can catch the “morning star” Venus passing near the star cluster Pleiades. Very early morning, before any hint of daybreak, look for the bright “morning star” Venus in the east to guide you to the nearby Pleiades star cluster. The cosmic pair of planet and stars will be seven degrees apart—less than the width of your fist held at arm’s length. The 300 light-year distant stellar grouping is a staple of winter-evening stargazing, but now is an easy target for early risers with binoculars, thanks to Venus, the goddess of love, pointing the way. Saturn made it closest pass to Earth less than a month ago and is still near enough to appear large when viewed through a backyard telescope in July. 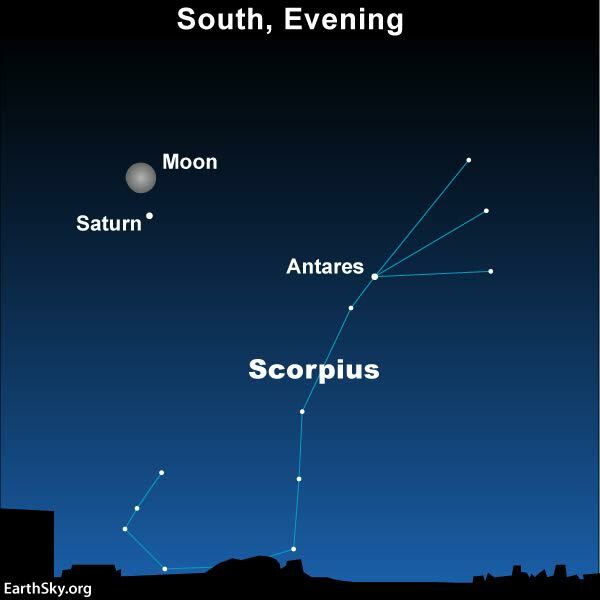 After darkness falls, look southeast for the waxing gibbous moon pairing up with the ringed world Saturn. To the naked eye the gas giant looks like a bright yellow-tinged star; however, through even the smallest of backyard telescopes, it shows off its famous rings easily. Having just made its closest pass to Earth less than a month ago, Saturn will still appear impressively big and bright through the eyepiece. A telescope will also easily reveal the Cassini Division, a large 3,000-mile-wide dark gap in the rings, and a few of Saturn’s largest moons floating nearby. Venus swings past the orange-colored star Aldebaran on July 14. 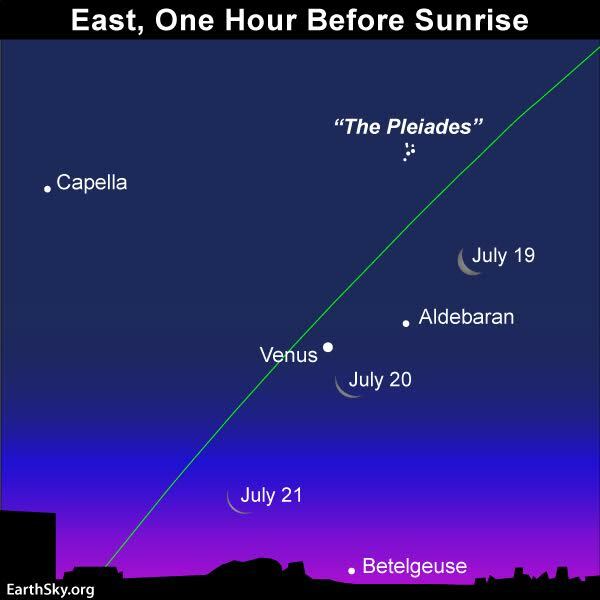 At dawn, the brightest celestial object visible rising in the east is the planet Venus. Commonly referred to as the “morning star,” the second planet from the sun is currently the brightest celestial object in the morning skies—other than the moon and sun. Venus is even more eye-catching than usual this week as it makes a close swing past the orange-hued star Aldebaran. This giant star, which marks the eye of the mythical Taurus, the bull constellation, appears less than three degrees from Venus. This apparent proximity is only an optical illusion, however. While our sister planet is a mere 152 million kilometers (94.5 million miles) from Earth, Aldebaran is 65 light-years distant. It’s interesting to note that the Pioneer 10 spacecraft, launched back in 1972, is currently 17.9 billion kilometers away and is making its way in the direction of Aldebaran. It should reach the star’s vicinity in about two million years. A crescent moon joins Venus and Aldebaran in the night sky on July 20. The brilliant second planet from the sun, Venus, has the waning crescent moon as a companion in the dawn skies today. The cosmic duo should make for a stunning photo opportunity near the horizon. 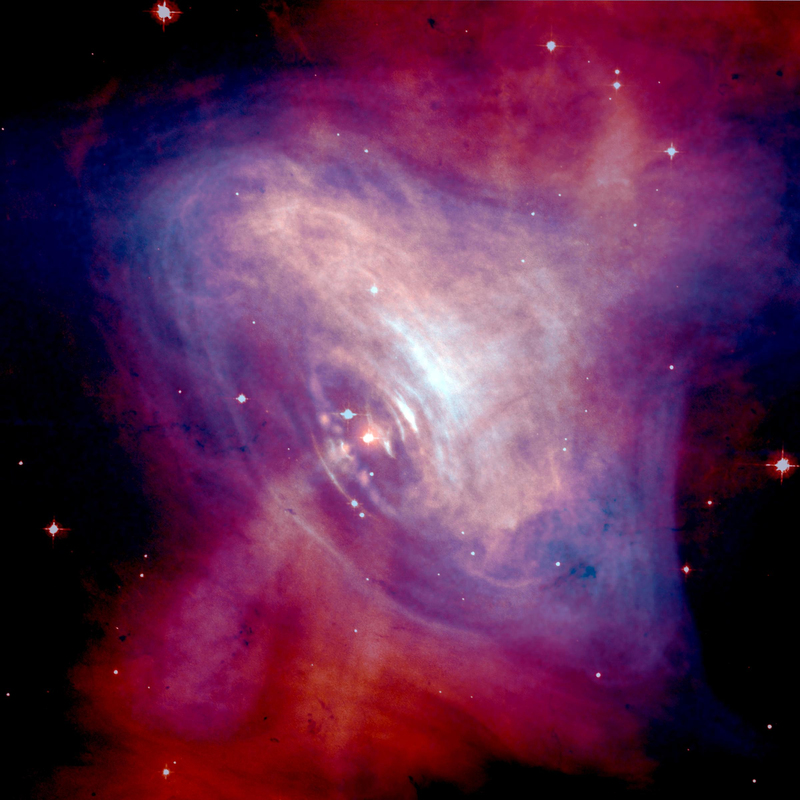 On July 26, Venus will pass very close to the brightest supernova remnant in our skies, the Crab Nebula. Venus passes just south of the brightest supernova remnant in our skies, the Crab Nebula (Messier 1) located 6,300 light-years away. The odd celestial pair will be separated by no more than one degree—equal to the width of two lunar disks side by side. You can spot this expanding cloud of debris left behind by an exploding star using binoculars under dark countryside skies—though it will be a challenge—or with a backyard telescope in suburban skies. For a second time this month, Earth’s moon glides by Jupiter in the evening sky. So if you missed it on July 1, this is your chance. Keep an eye out for shooting stars from the Southern Delta Aquarid meteor shower peaking in the early hours before dawn. 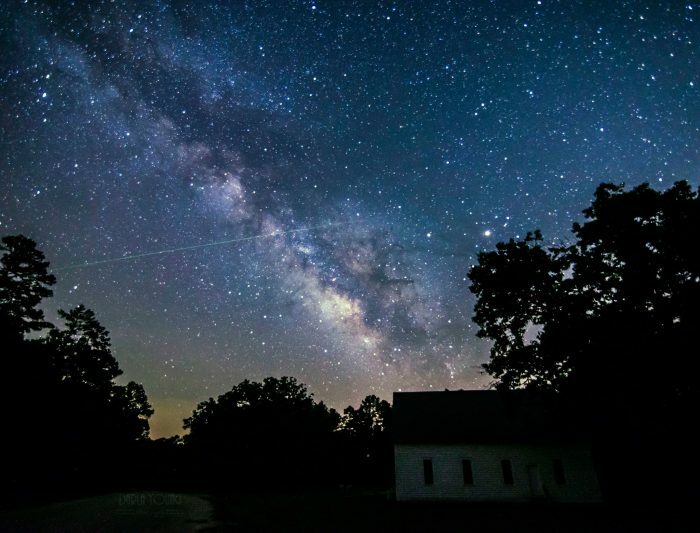 With its famed cousin, the Perseid meteor shower, potentially being washed out by the moon in mid-August, this shower may actually be a better bet for sky-watchers. With the first quarter moon setting soon after local midnight, this sky show should peak in the early mornings under ideal dark skies. The first Aquarid meteors will actually begin flying as early as July 20 and will continue to ramp up in activity, reaching about 25 meteors per hour on July 30. Sporadic meteors from the Aquarid stream will continue until it trickles out in August by mid-month. Individual meteors from this shower can be traced back to their radiant, which is their namesake constellation Aquarius, the water bearer, seen very low in the southern skies across mid-northern latitudes. 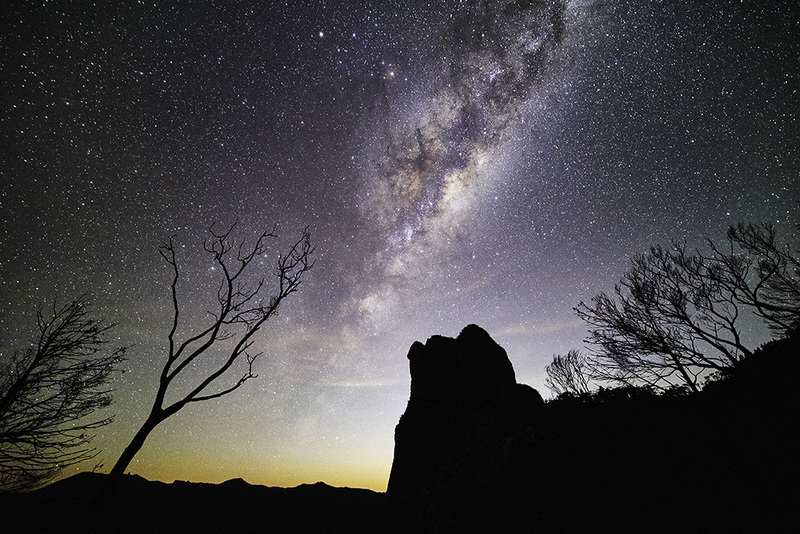 The best views will be for meteor watchers located near the equator and in the Southern Hemisphere.